Readers of the Star know I regularly lambast the BBC. They often seem clueless about their global role, they have a primitive understanding of technology, they have no leadership–I have said it all and doubtless will continue to do. Every so often, though, a good idea emerges from those all-too-hallowed halls. The BBC Genome Project is one and Project Barcelona, if it is ever a reality, is an even better one. 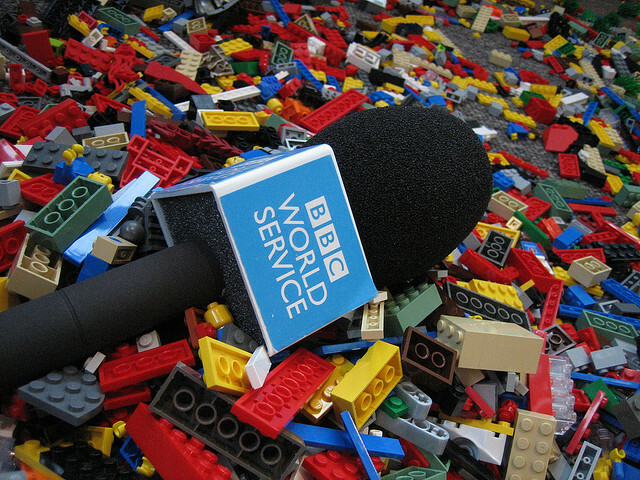 The announcement of a working prototype World Service Radio Archive Project is extraordinary. 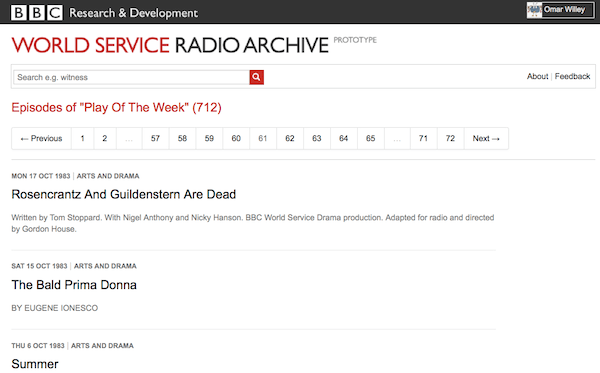 Now open to testers, one may register for the prototype website quickly and within minutes dive into the vast volume of materials in the archive, including over 70,000 radio programs from the past sixty years of BBC World Service broadcasts. This approach is significantly different from the way BBC archives are currently published online, focusing on archive segments around particular brands (e.g. Desert Island Discs, or more recently Letters from America) or particular topics (e.g., World War II), manually annotating that segment of the archive and building segment-specific navigation using those annotations. However there are a number of questions we need to answer when testing our novel approach of combining automated metadata with crowdsourcing techniques. Is it acceptable to publish an archive where the metadata hasn’t been comprehensively checked? What are the minimal features required to make such an archive proposition work? Is variable quality metadata acceptable to users? Does user feedback actually lead to increased accuracy? What are the best mechanisms to engage our users in helping us with improving that data? At the moment there are seven hundred twelve plays from Play of the Week and one hundred two plays from Theatre of the Air available, dating from 1972 to 2006. Some of these probably have not been heard in decades. Nigel and Alison Deacon at the Sutton Elms Diversity website have posted a list of many of them. Registration is free. If you have any interest in radio drama, you will definitely find something here to your taste. Even more importantly, you may help sort through and catalogue all this work accurately. Though this is only a fraction of what Project Barcelona might become, it is a massive project and the most important news in contemporary audio drama to hit my inbox in years. And it gives me a day to write about audio drama without having to lambast the BBC, if only for a day. In all seriousness, though, this effort is extraordinary and deserves the highest attention and even a little begrudging praise from those like me who tend to be naysayers wherever Auntie is concerned.